We’ve all got that problem room. You know the one. Every time you walk past it, you wish someone would just magically finish it for you. Maybe you’ve decided exactly what you’d like to do but you can’t for any number of reasons. Cost, time, or… it’s being used by your kids as a playroom or your husband as a place to collect every piece of paper that was ever mailed to him. Or maybe you just really don’t know where to start? Odd shape. Dark lighting. Left over furniture you’re not sure you can justify getting rid of. That’s where an outside opinion and a trained eye can come in handy. So I’ve decided it would be fun to try to help my readers with their most pressing design dilemmas and some of you have already started submitting photos for a design consultation. This week we’ll look at a living room makeover. 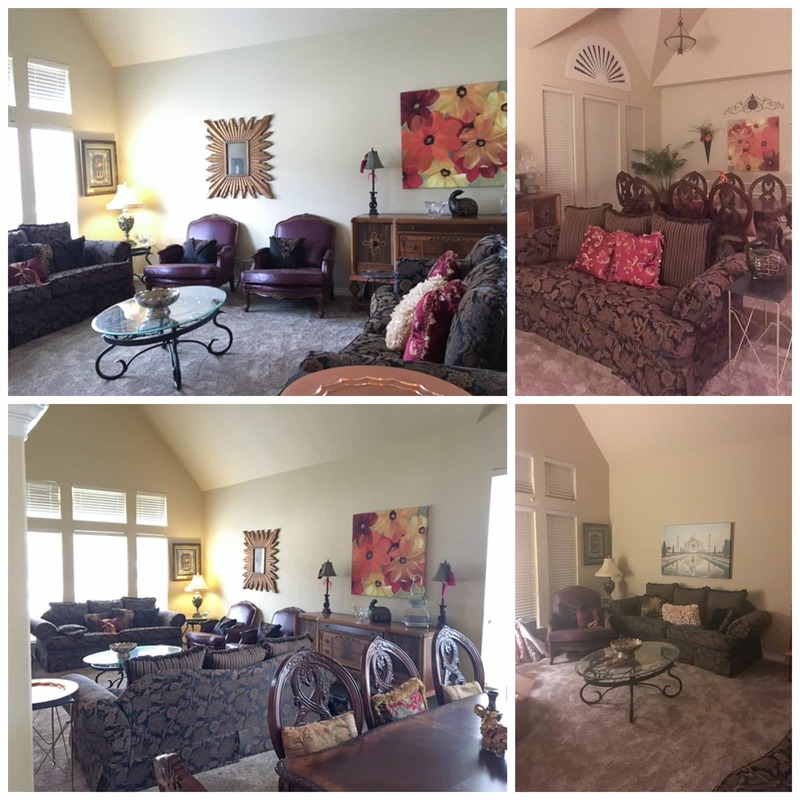 RS sent me her living room photos and explained that when she redid her home, she felt her living room was too dull. 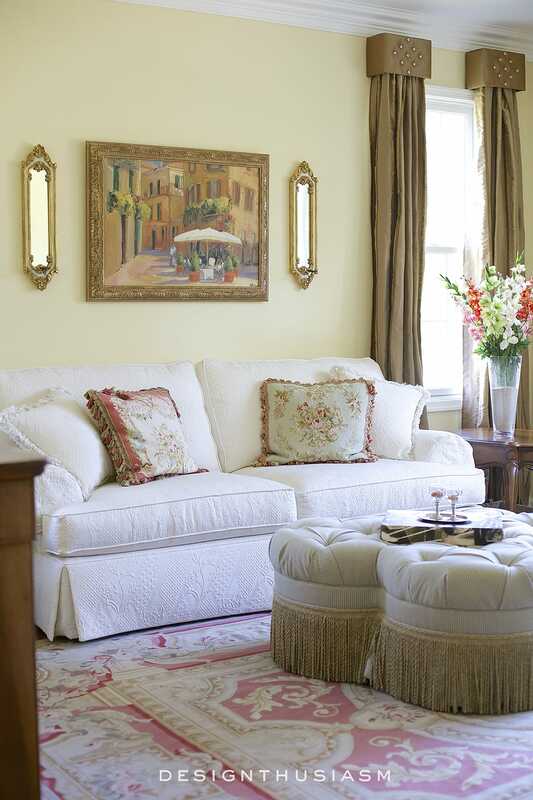 She was afraid she went too neutral and was looking for insight on how to add warmth and charm without clutter. She also pointed out that she was not afraid of color. You can see a few of her photos below. The other key change would be to recover the bergere chairs. The chairs she owns are a lovely shape and any creamy white fabric would be a perfect choice. French grain sack pillows tossed on the chairs begin to add some fresh character to the room. Perhaps the most significant change is one that I think is essential, and yet one that might surprise some people. That would be adding the subtle patterned rug. It’s important to note that just because you have wall to wall carpet, doesn’t mean you can’t layer a flat rug over it to help give more grounding to the conversation area. To me, this ties everything together. From here, the rest is adding in updated accessories that give the space its personality. On the two sofas I’d add creamy pillows: a beige textured ruffle and a stone velvet sheen. In winter this would be a great place to add Mongolian lamb, but for spring the ones shown here would work quite well. Next we move to the wood sideboard, which again is a placeholder for RS’s existing piece. Above it I’d move her gilded mirror to the center and have it flanked by these wonderful lamps. A low long bowl with another pop of soft floral color is all that’s needed to finish the look. Finally I’d add a fiddle leaf fig planter on the floor opposite the sideboard to again add more warmth to the space. Almost as important as what you put in a room is what you remove, and essentially I’d remove all other clutter. And one final note, not seen on the mood board, I’d also love to see cream linen drapery panels at the sides of the tall windows to soften the whole package. No need to make them wide enough to close over the windows, as the existing blinds can handle the privacy. Just a soft flowing drape that puddles on the floor would be a lovely finishing touch to this updated space. Very smart! We also had some dark furniture and dealt with it by making ecru slipcovers. That won’t work for bergères, but if at least the seat cushion cover is washable, that would be a good thing. Totally agree about curtains. They would really finish the room. Bare looks good in an industrial setting, which this isn’t. The furniture does feel a little too pushed-against-the-walls. Pulling it in would make the conversation area more cozy while making the room feel airier. She has some nice big art on the walls, which would look even better if it were professionally framed. Yes, I will admit, my answer to almost everything home decor related is to make it white… 😉 I have a cream bergère in my own family room and cleaning hasn’t been a problem. I think people tend to use the sofas more often. I also agree about framing artwork. I love all the suggestions and choices you’ve made to bring this room together. When I first look at a room that I think is a little “off”, I don’t have the ability or talent to see what changes need to be made. That’s why I appreciate your talents and willingness to share your ideas here with us. When you explain why you made the changes you did, it makes perfect sense. Thanks again!!! I knew your idea of “First Reader Design Consultation” would be so much fun! Thanks, Cecile! Of course, there are always many potential solutions to any one question but having an outside perspective helps see things you might look past in your own home. I also was responding based on the reader’s own concerns with her space, so that helped guide my suggestions. You made very nice and inexpensive changes for this project. I hope we get to see after photos. 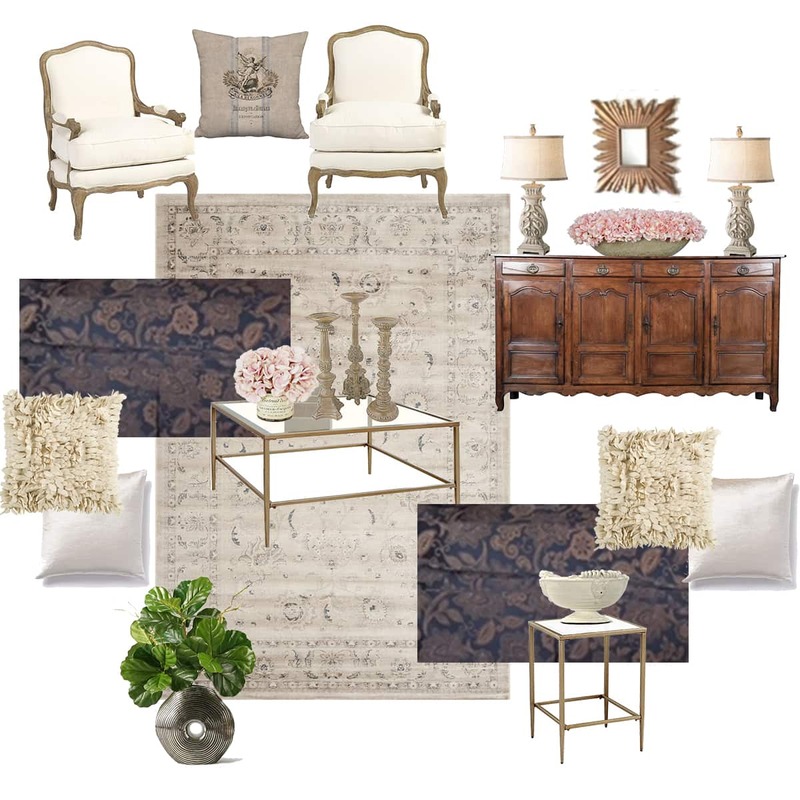 Will the bergere chairs then flank each side of the wood sideboard once centered? This is REALLY fun, Lory! Dang, you’re good! Thanks, Ginger! Keep in mind, I have the same information you have – just the photos, so I’m not 100% sure what the space dimensions are. There are actually a few ways I could see laying out the room, but it appears to me there’s not enough space to put the chairs on either side of the sideboard and still put the couches closer together (since you would then need enough room to walk between them). So I’m assuming the two chairs would be next to each other and the sideboard centered on the wall where it is now. How fun it would be to see the actual makeover! When I first started changing my traditional taste, I seemed to navigate toward the Tuscan style. I love it, but love the whites more now. 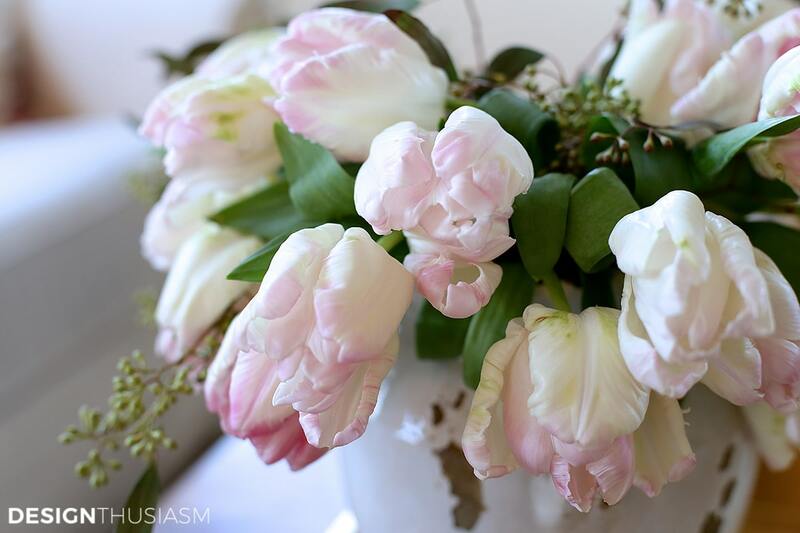 I especially love how you add the blush and yellows with the creamy whites. I can’t wait .. Thank you so much !! I love this post! What fun seeing the before and after photos, and your choices are lovely. I, too, felt the room needed some brightening up and a larger coffee table. You always seem to know where to find great pieces, while I seem to hunt forever for them. Hugs! Great ideas to bring light and life to this room! In the design board you put together for the room, there is a beautiful french sideboard. Do you have a source for that? It is exactly what I would like for my dining area and have not been able to find it. Thank you! Thank you, I love ❤️ the ideas! I was on a cruise- what a wonderful surprise to return from vacation and pull up your site to see the great vision boards! Since we had no wifi, I literally went radio silent. Your ideas pull everything thing together. Love the details. Your insight to add light not color is the direction needed… it adds the richness that I was wanting. Just excatly the touches and “life” this room needed! You have created a wonderful site and community of inspirational (interior decor and beyond) for us to use and enjoy. Can’t wait to start incorporating your ideas. Thank you so much for your time and sharing your talents! So impressed by your talents. I wish you continued success. Thanks so much!! So glad you like the results and glad you came home to the surprise, too! I realized when I emailed you about the post that you were away but since I had it ready to go, I knew you’d see it eventually… 🙂 Hope you enjoyed the cruise, as well!! Update! 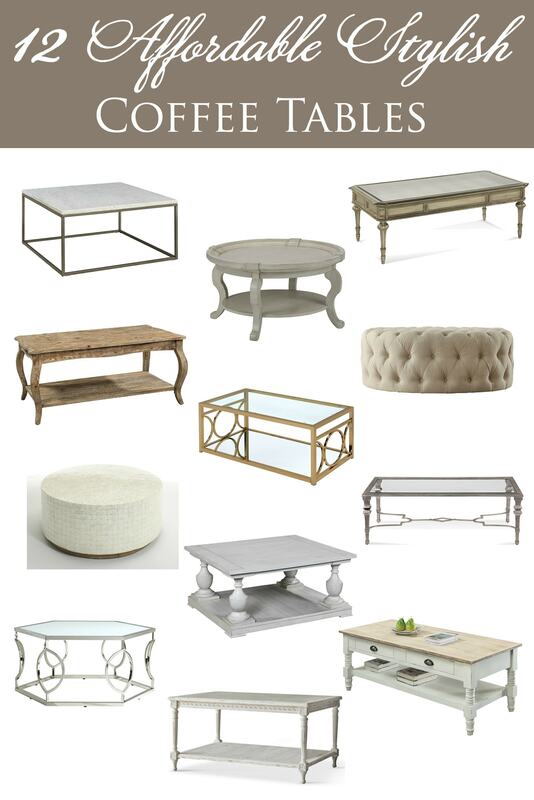 I ordered the gold coffee table and large oval bowl with hydrangeas from your links! I have great cream pillows that I will move to the chairs. Looking for the lamps. Plan to order the rug too. I would LOVE to see the finished room if she uses your suggestions! You provided such great ideas!! !